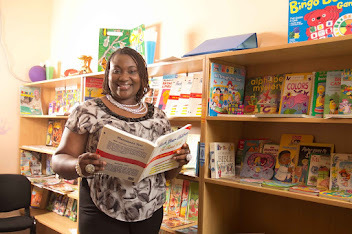 Last year August when I decided to kick off the Parents Forum With Aunty Bimbo to reach out to parents via the children's show that I host on radio, it seemed like a very uphill task. This is because it was like reaching out with a risk of failing. However, to the glory of God, I just held the second edition of the Parents Forum With Aunty Bimbo this January,2015 and indeed it is growing with more people on board and reaching out to more families. Parents came from all over with a family all the way from Banana Island to another family from Ikotun and I even had a mother and her child come around from Sagamu Ogun State!!(faints). The theme of this January's Parents Forum was to create an awareness on how to ensure our children are protected from all forms of abuse both in schools and religious institutions and my key speaker and UNICEF consultant, Taiwo Akinlami, did a wonderful job of breaking it down. It was also a very interactive event with the opportunity for parents to ask questions and also give suggestions and observations and in all it was a huge success. I always say that there is no manual on parenting, there are only tips to help, but the fact remains that there is a huge responsibility on us as parents not just to PROVIDE for our children but also to PROTECT them while they are still under our watch. Anyone can give birth to a child, after all we hear of even mad women on the streets having children by the roadside BUT it takes a lot more to raise and bring them up. 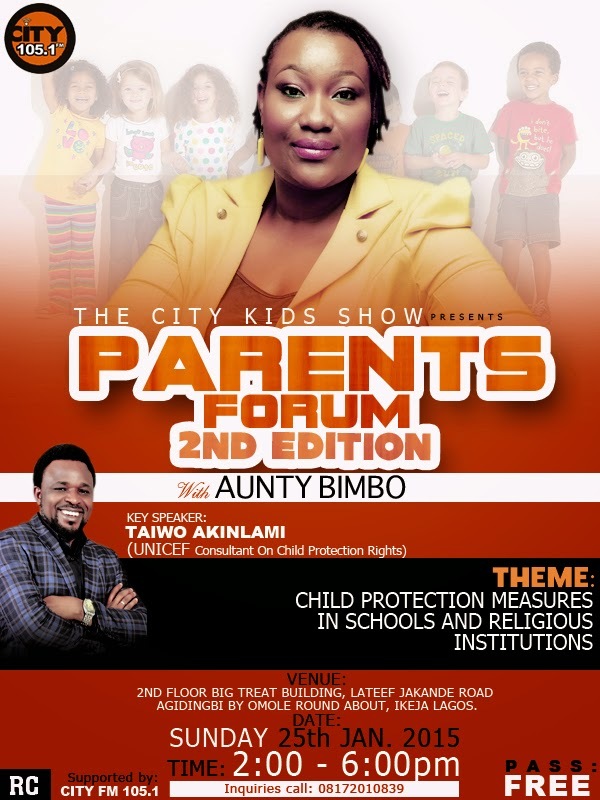 The Parents Forum with Aunty Bimbo will continue to create this awareness in parents and continue to advocate against all forms of child abuse both sexual and physical. It will also border on general issues that relate with upbringing of children in all forms and manner. I also want to implore parents to make time out to attend events that have to do with the welfare of your children especially Parent Forums and Parent Teachers Associations(PTA)...it is your DUTY and PRIMARY responsibility! That party, event or even church program can wait but every second spent not learning about your child can be costly in the future. The children were also not left out as some parents had no where to drop their kids off and I made provision for such an eventuality and they really enjoyed themselves at the game arcade at the venue. I want to make it a regular quarterly event so if you want to join me on this quest via partnership or sponsorship, feel free to send me an email at bimztheory@gmail.com. 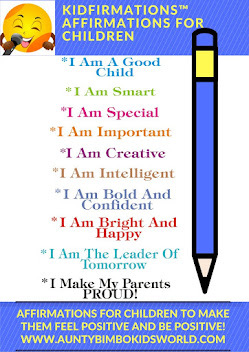 Our children are indeed the future of tomorrow, lets ensure that they live to see tomorrow with no psychological, emotional or spiritual imbalance that might be caused knowingly or unknowingly from our ignorance or being too busy with other things. You can always listen to the City Kids Show with your children, on radio via City105.1Fm every Saturday from 12.30 to 1.30Pm or listen online www.city1051fm.com, our slogan on the show is...FUN and LEARNING all the way!!! !